Opposition leader Sam Rainsy was ordered on Thursday to pay National Assembly President Heng Samrin about $37,500 after being found guilty of defaming him in a Facebook post that claimed, incorrectly, that Mr. Samrin’s regime in the 1980s had sentenced King Norodom Sihanouk to death. In 1979, the Vietnamese government installed Mr. Samrin as president of the People’s Republic of Kampuchea (PRK). 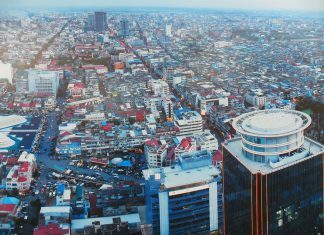 Mr. Rainsy, in November, posted a video of the king in the 1980s criticizing Hanoi for its invasion—with a caption saying the PRK had sentenced the king to death. No such sentence was ever handed down by Mr. Samrin’s regime, and although Mr. Rainsy’s post did not mention Mr. Samrin by name, the National Assembly president sued the opposition leader last year for defaming him since he was then the regime’s head of state. Having fled to Paris the day before the offending Facebook post to avoid an unrelated two-year jail sentence for defaming then-Foreign Minister Hor Namhong, Mr. Rainsy did not appear in court on Thursday for the quick-fire trial presided over by Judge Ros Piseth. After a 40-minute hearing featuring only Mr. Samrin’s lawyer and prosecutors, Judge Piseth ordered Mr. Rainsy to pay Mr. Samrin 150 million riel (about $37,500) and pay the state 10 million riel (about $2,500) as a fine. After the trial, Mr. Samrin’s lawyer, Ky Tech, said he was dissatisfied with the amount of compensation and would appeal the case if requested by his client. 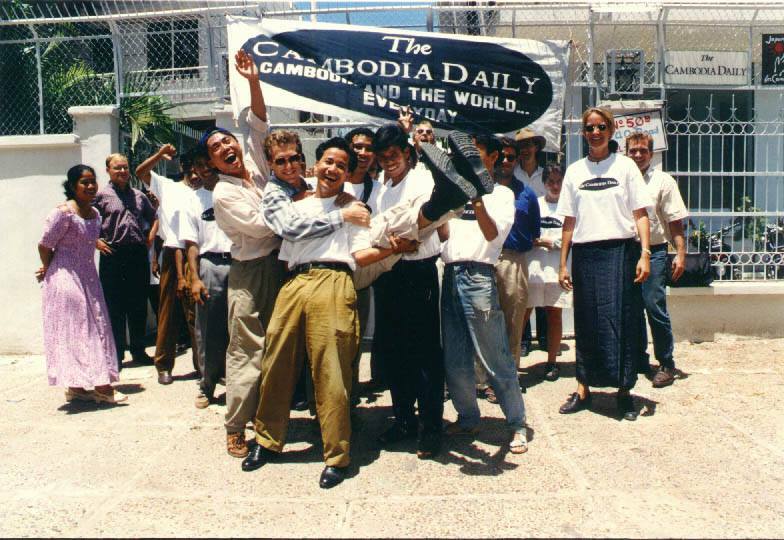 The case also affected the CPP, he said, which was created in 1991 out of a rebranding of the Vietnamese-backed PRK communist regime, which in 1989 had already formally renounced revolutionary communism and renamed itself the State of Cambodia. 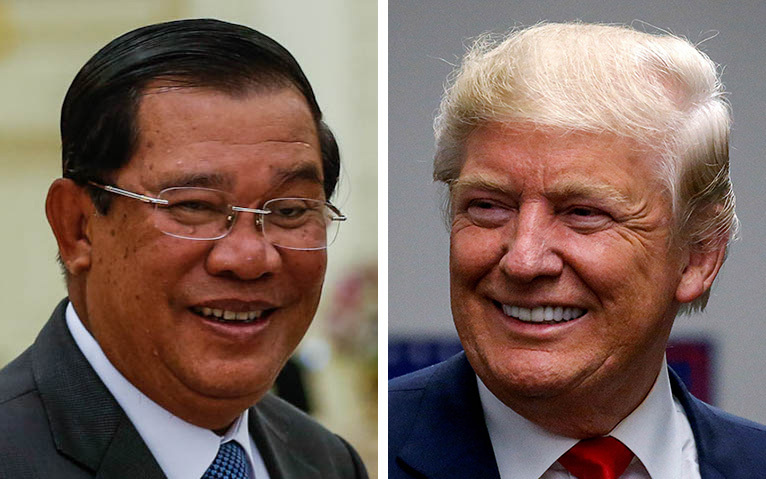 Mr. Samrin served in the mostly honorary role of president throughout the life of the PRK, with Prime Minister Hun Sen—installed by the Vietnamese in 1985—and late party heavyweight Chea Sim assuming greater power inside the regime as the decade wore on. Mr. Rainsy, a founding member of King Sihanouk’s Funcinpec resistance to the Hanoi-backed PRK, has not acknowledged being wrong about the claim. Instead, he has insisted that the regime did sentence the king to death “morally and politically,” if not physically. He said the party did so by establishing itself as a republic and denying the king his rightful role. King Sihanouk was first crowned king in 1941, serving as Cambodia’s leader until the 1970s coup, before being recrowned in 1993 after a U.N.-backed election. Mr. Rainsy did not respond to a request for comment. He had previously said he was prepared to appear in court only via Facebook’s Messenger app, given that his crime had occurred on the social media site. 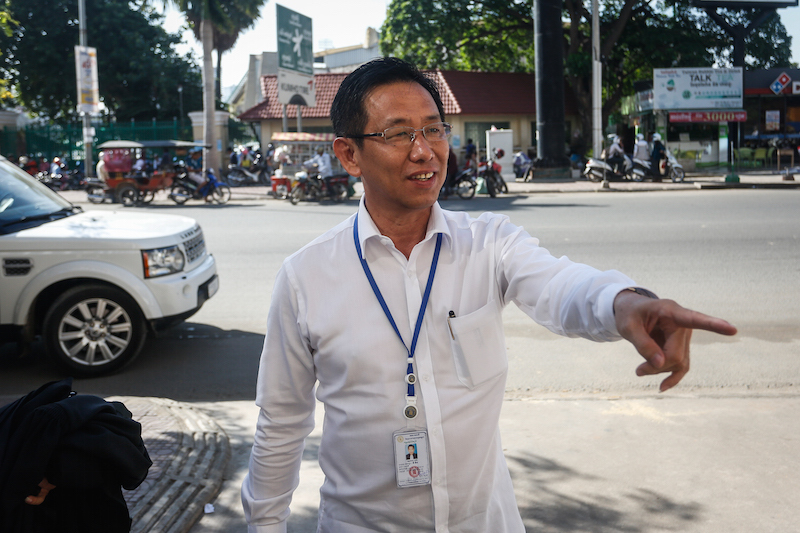 Besides Mr. Samrin’s case, Mr. Rainsy has also been sentenced to two years in prison for defaming Mr. Namhong and would face another 17 years if he were found guilty of being an accomplice to opposition Senator Hong Sok Hour in a pending treaty forgery case. 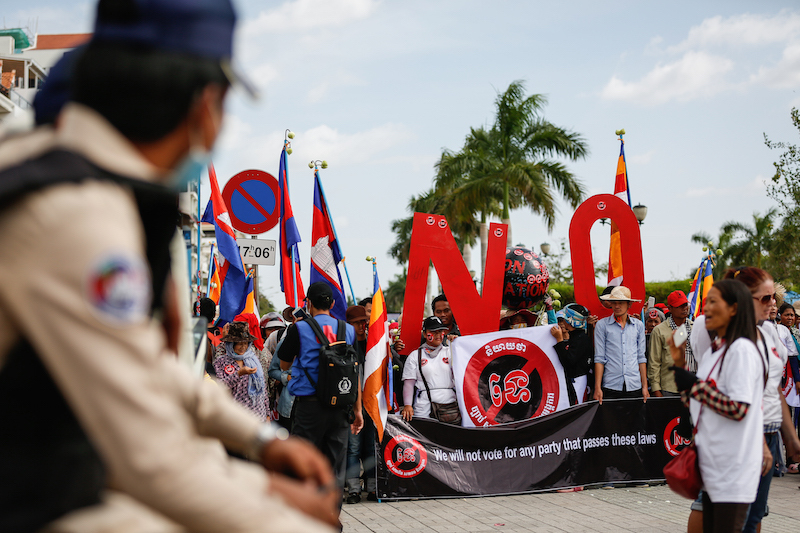 Moeun Chhean Nariddh, director of the Cambodia Institute for Media Studies, said the results of the trial were a foregone conclusion given the CPP’s control of the courts but added that the ruling party should think twice about actions that stifle online discussions. “Anyone using social media like Facebook can be prosecuted, but in a democratic society, the government should be patient and tolerate any criticism because that will create a more free atmosphere for people to express themselves,” Mr. Chhean Nariddh said. Intimidating citizens on platforms like Facebook will only cause them to hide their thoughts before giving the CPP more unpleasant surprises when they go to vote, like in 2013, he said. “When a high-profile politician is prosecuted and punished by a court, the ordinary people will be more reluctant to express themselves, because they will feel they can also get into trouble,” he said.